Note: For capacitors whose capacitance exceeds 1000mF, the value of DF should be increased by 0.02 for every 1000mF. 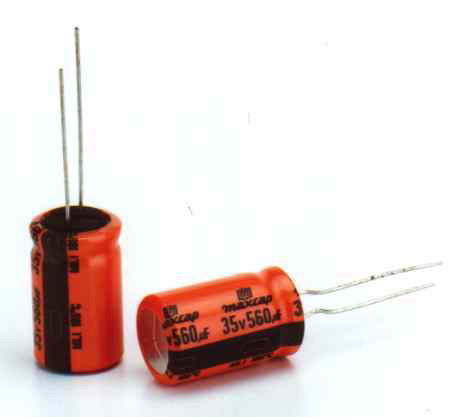 which has the rated voltage of 6.3V and 10V to 100V, respectively. · Impedance value at -55°C shall not exceed 3 times the 20°C value. of case Ø10mm or above) at 105°C. them at 105°C for 1000 hours without voltage.